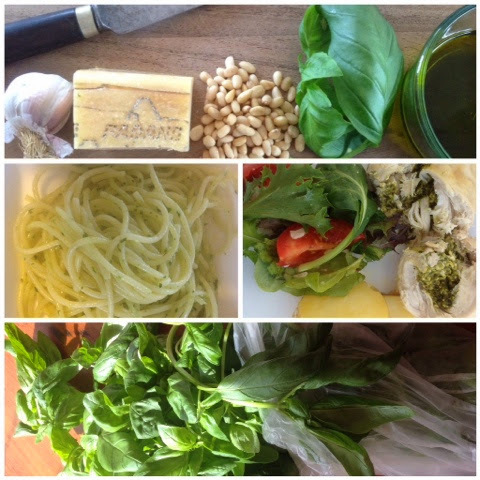 How do you enjoy your pesto? OH, pesto, how I love thee. I was just saying, over at My Yellow Heart, how much I miss my food processor (for Carla has just posted a great looking food processor cake recipe) and now this!?! It must be the worst thing about a caravan kitchen - no big food processor. But, I am not a generator user, and won't become one. So this is the sacrifice I make. I did, however, make the most delicious basil infused olive oil yesterday. But it's not quite the same, really, is it?